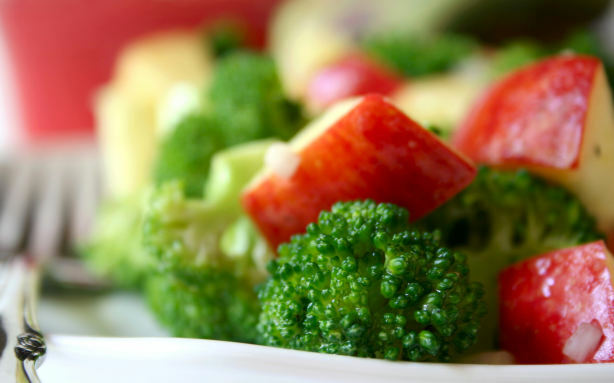 Here's a delicious broccoli apple salad with a tangy sweet flavor. I especially like these types of dishes for their color and flavor accents to complement dinner parties. 1. Steam your broccoli only for 2-3 minutes. DO NOT over-cook – you want it kind of raw.